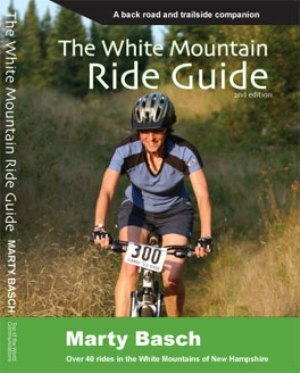 White Mountain Ride Guide, by Marty Basch, 2nd edition, 2007. Nifty guide to over 40 bicycle rides across the White Mountains. Offers a nice mix of on-road and off-road trips. For each ride there are directions, map by cartographer Larry Garland, and mileage log with description & commentary. 174 pp, 5” x 6 ¾”.